Halloween is coming guys! And when I had the opportunity for a costume review, I was really excited. I asked my daughter to go to the site and pick out a costume she would like. 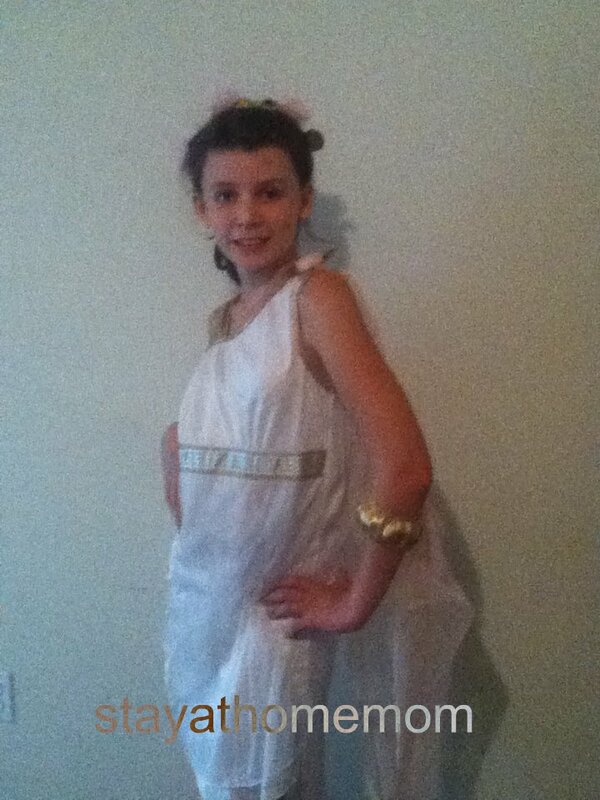 She looked around and picked out this Greek Goddess Costume. It is called the Goddess of Glam. I think Greek, Roman and The Olympians themes are really in right now. This costume is so nice. And comes with the headband and arm bracelets along with the one piece dress. Everything you need really! And the costume fit her to a tee. I am so happy with the quality of this costume and the fit! The other thing I liked about CostumeSuperCenter is the availability of Teen Costumes. My daughter no longer fits in the children's Halloween Costumes, and the Adult ones are to big, so it's great they have Teen Costumes! I ordered her a Medium Teen Costume and it fits her perfectly. 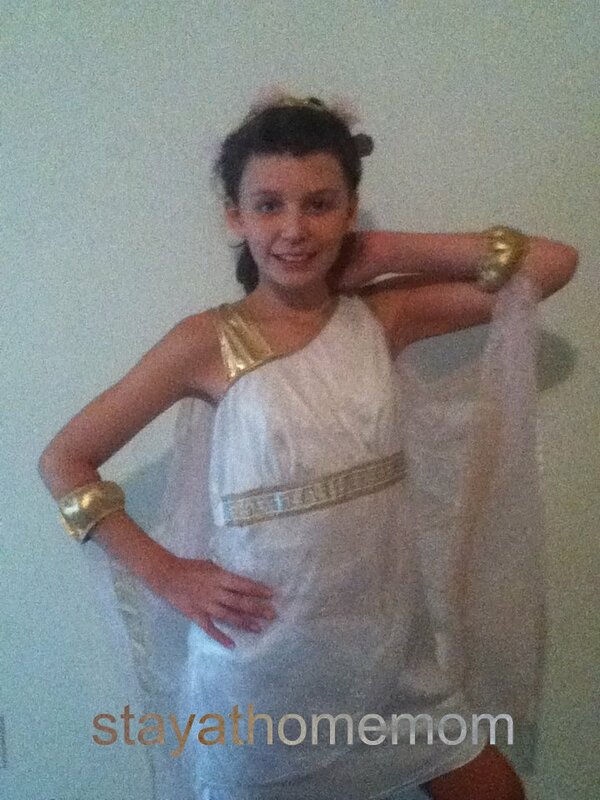 She is going to love wearing this Greek Goddess Costume. Not only on Halloween night, but she's going to a Halloween dance at school, and her dance studio has a Halloween thing too. So she's going to get some use out of this. Go to CostumeSuperCenter's Facebook Page to Like them on Facebook! Disclosure: I received the above product for free from CostumeSuperCenter. No other compensation was given and my opinions are my own. That is a really nice looking costume. Love it! That is great that there are teen costumes available! I have only seen the kids or adults sizes so its nice to know that those sizes exist! I will be taking my niece shopping soon and I hope we are as lucky as you were in finding a great costume! Very neat costume! I like that the costumes are good quality as so many on the market are not. Love love love the costume. It's hard to find good quality costumes for a decent price anymore.